Many colors of guide posts provide protection for your Concast products by blocking off vehicular traffic or defining a road way. Guide posts can be used to control traffic, or to define a roadway. A hard polyethylene exterior ensures that the color will withstand years of environmental exposure. Also, because the shell is not steel; no grounding is required. 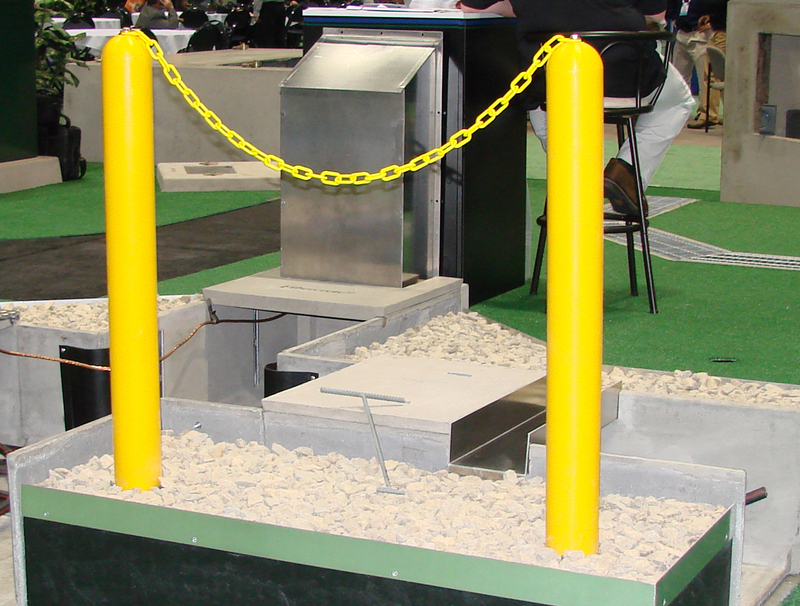 These maintenance-free posts are available either hollow, or concrete filled with steel rebar reinforcement. A threaded insert is located at the top of each post for securing safety chain, and for machine-assisted lifting.